We are no longer issuing e-tickets. If you do not have your Stadium Access Card, please download the new Official Spurs App (coming soon, will be ready for Crystal Palace) to access and scan your tickets from your mobile or visit the ticket office on match-day. The ticket office is open 4 hours prior to kick-off, arrive early and bring photo ID. Track the location of your Gift Pack, which includes your Stadium Access Card in real-time. We'll send you an email when your Gift Pack is on its way which will include the Packtrack link, all you will need to do is enter your Client Reference Number (CRN) and you'll be given an instant update. Please allow up to 4 – 6 weeks from purchasing your membership for your Gift Pack to arrive. Once your pack is in the post we'll send you an email to let you know your Gift Pack is on its way. Once you have received your email, please use the link included to track the location of your pack. Please ensure the address details we hold for you are up to date. You can check and update your details by logging into My Account. They will include your Stadium Access Card and have been designed to fit through standard letterboxes. To see details of what is included in each Gift pack, please see One Hotspur Membership for junior packs, please see One Hotspur Junior gift packs. Once you've checked the status, if the dispatch date is more than 21 days UK (International, allow up to 6 weeks for delivery), please see below. I've got a ticket for a match and haven't received my pack yet: If you purchase a ticket it will automatically be loaded onto your stadium access card, you can check your seat details under My Account History. If it doesn't arrive in time - download the new Official Spurs App (coming soon, will be available for Crystal Palace) where you can access and scan your tickets from your mobile. Any problems please visit the Ticket office on the match-day which is open 4 hours prior to kick off. Note: We are no longer issuing e-tickets, please download the app or visit the ticket office on match-day. Note: We are no longer issuing e-tickets. If you do not have your Stadium Access Card, please download the new Official Spurs App (coming soon, will be ready for Crystal Palace) to access and scan your tickets from your mobile or visit the ticket office on match-day. The ticket office is open 4 hours prior to kick-off, arrive early and bring photo ID. All Season Ticket holders should have received their gift pack by now. We would like to apologise to supporters that the process took longer than we would have wished. Pack Hasn't Arrived? Dispatch date showing as 21+ days ago? 1. Check status: If you haven't received notification to let you know your gift pack is on its way / you can't see a processed date on Packtrack, your pack has not been processed yet. More information below for new One Hotspur Members, Season Ticket holders, Executive members. 2. Confirm process date: Once you've checked the tracking link, please check the date it was dispatched. If it has been more than 21 days if it is a UK address or for an overseas address more than 6 weeks since your package was sent please contact us so we can investigate. Your Gift Pack will include your Stadium Access Card. When you purchase a ticket to a match it will automatically be added to the card. Note: We are no longer issuing e-tickets for One Hotspur Members or Season Ticket holders. If your Stadium Access Card has been lost or stolen you will need to contact the Ticket Office. Please note that there is a £15 fee per replacement Stadium Access Card. Please call the Ticket Office on 0344 844 0102 (UK) or from overseas on +44 20 7998 1068 selecting option 2. Lines are open from Monday – Friday, 09.30 – 17:00. Replacement cards will be posted to you, and may take 2-3 weeks to arrive. Please ensure your My Account address is up to date. 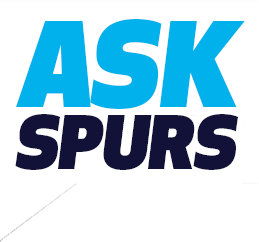 If you don't have your Stadium Access Card, download the new Spurs Official App (launching soon, prior to Crystal Palace) where you can access and scan your tickets from your mobile. If you have any problems with your tickets, please visit the Ticket Office, they are open 4 hours prior to kick-off until half-time. Please arrive early and bring photo ID.